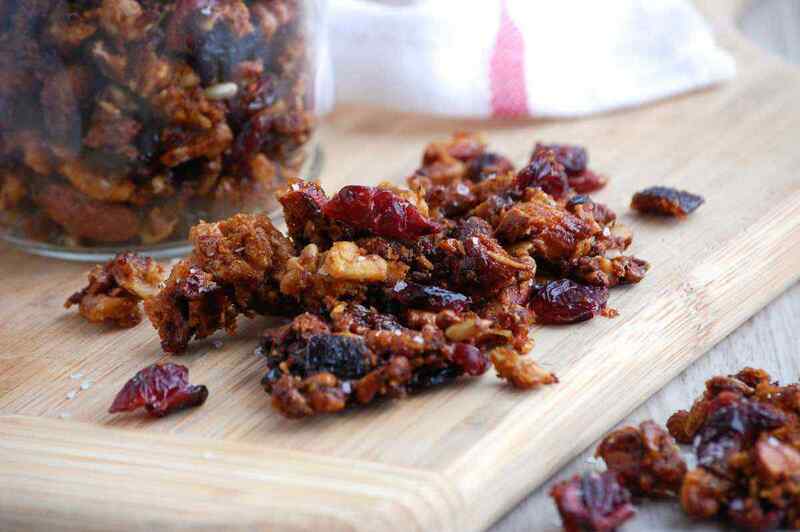 When you’re looking to increase your energy, wether it is to get through a tough workout or just to get through a long day at work, try one of these make-ahead energy-boosting paleo snacks. The best protein bars, energy bites and nutrient-dense snacks. 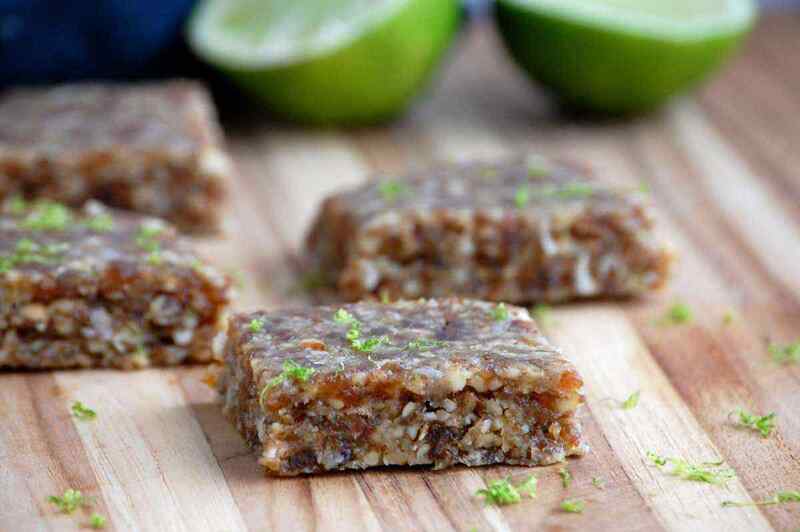 Lime and coconut ensure that each bite of these energy bars is bursting with flavor. The paleo snack bars have the flavor of key lime pie without all the added effort of making a pie. They will also provide you with natural energy and fiber. Dates are used as a natural sweetener and have a low glycemic index. 1. Place the walnuts, cashews, dates, and coconut flakes into a blender or food processor and pulse to finely chop. Add the salt, lime zest and juice and blend until the mixture starts to clump together, 1-2 minutes. 2. Use a spatula to scrape down the sides and transfer the mixture onto a piece of wax paper or plastic wrap. Press into an even square and chill, wrapped, for about 30 minutes. Cut into desired size of bars, wrapping each bar in plastic wrap to store in the refrigerator. Store in an airtight container in the refrigerator for up to one week. Having regular, small meals throughout the day can help to keep your metabolism up and energy levels steady. 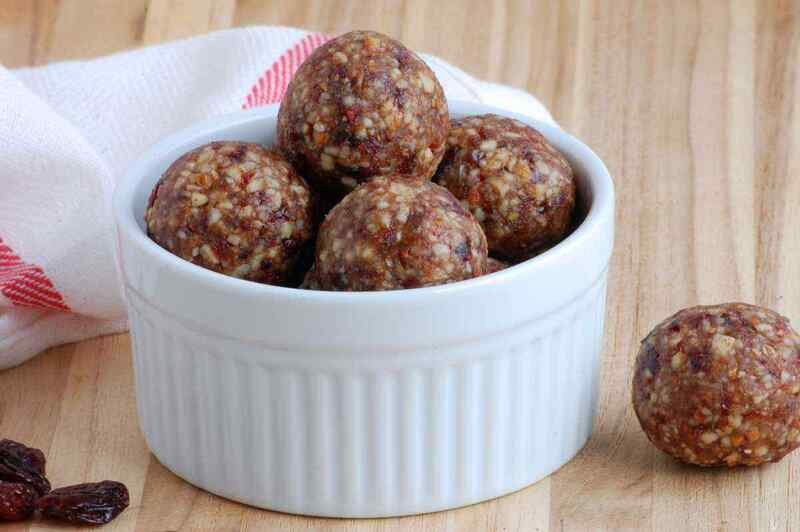 Healthy paleo snacks like these energy bites will help with that process. Nuts provide healthy fats and protein, and there is also some chocolate for the sweet tooth, which can be adjusted to taste. This recipe does not require any cooking and takes less than 15 minutes to make. 1. Add the macadamia nuts, walnuts, coconut flakes, and salt to a food processor. Mix until finely ground. 2. Add the dates, vanilla, and cocoa powder to the blender. Mix well until everything is combined. If necessary, add a couple drops of water at a time to make the mixture stick together better, with the blender still running. 3. Transfer the mixture into a bowl. Use your hands to form small round balls, rolling them in your palm. Roll each ball in the extra coconut flakes to coat if desired. Store in an airtight container in the refrigerator for up to a week. In this high energy paleo snack recipe, almonds are mixed with a blend of Chai spices for an extremely flavorful and delicious portable snack. 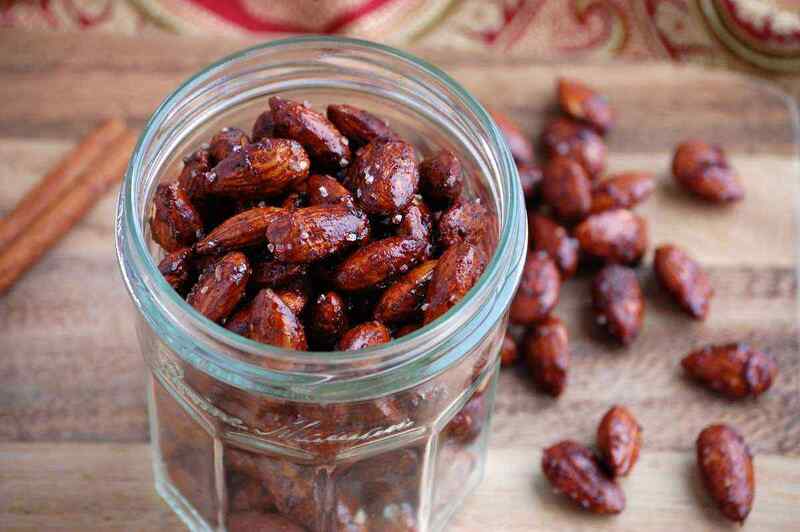 Naturally sweetened with honey and roasted in the oven, these almonds will be gone in a flash. Cinnamon, nutmeg, ginger, and cloves add a warm spiciness to the nuts. Enjoy them hot out of the oven or store at room temperature in an airtight container for later. 1. Preheat the oven 375 degrees F. Line a rimmed baking sheet with parchment paper. Place the almonds on the baking sheet and toast for 10 minutes. 2. Meanwhile, stir together the cinnamon, salt, nutmeg, ginger, and cloves in a small bowl. Set aside. 3. Heat the honey in a medium glass bowl in the microwave for 30 seconds. Transfer the toasted almonds to the bowl and stir to coat. Add the spice mixture and mix well to coat the almonds. Spread the almonds back out on the baking sheet and sprinkle with additional sea salt if desired. Place back into the oven for 6-7 minutes. Remove from the oven and transfer to a plate to cool. Store in an airtight container. Raw nuts are a great for nibbling on the go, but sometimes are lacking in flavor. 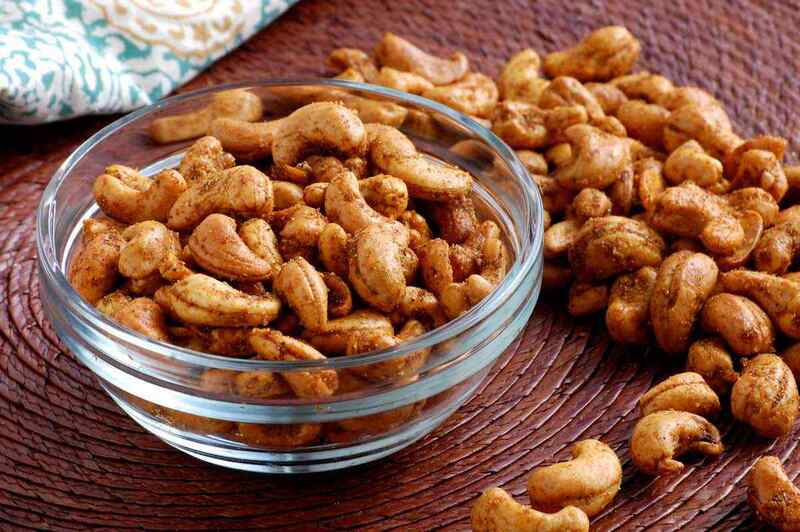 Give snack time a delicious punch with these curry roasted cashews. Curry powder, cumin, paprika, and cayenne ensure that your taste buds will be happy. The roasted cashews can be served warm or kept at room temperature in an airtight container (if they are not all eaten in one sitting!). 1. Preheat the oven to 250 degrees F. Line a rimmed baking sheet with foil. Place all of the ingredients into a small bowl and toss well to coat. Spread the cashews out in an even layer on the baking sheet and roast for 40-50 minutes, stirring every 20 minutes, until lightly browned. Serve warm or store in an airtight container. This version of granola blends salty, sweet and tart flavors together. Granola is great for snacking by the handful or as your morning cereal. Making your own granola at home lets you have control of the ingredients, and allows you to focus on whole and natural foods. 1. Preheat the oven to 300 degrees F. Line a baking sheet with parchment paper. Place the walnuts, almonds, and coconut flakes into a blender and pulse a couple of times to break the mixture into smaller pieces. 2. In a large microwave-safe bowl, melt the honey, coconut oil, vanilla, and nutmeg together for 40-50 seconds. Add in the mixture from the blender and stir to coat. 3. Spread the mixture out onto the baking sheet and cook for 20-25 minutes, stirring once, until the mixture is lightly browned. Remove from heat. Stir in the dried cranberries and salt. 4. Press the granola mixture together to form a flat, even surface. Sprinkle with additional sea salt if desired. Cool for about 15 minutes, and then break into chunks. Store in an airtight container or resealable bag. 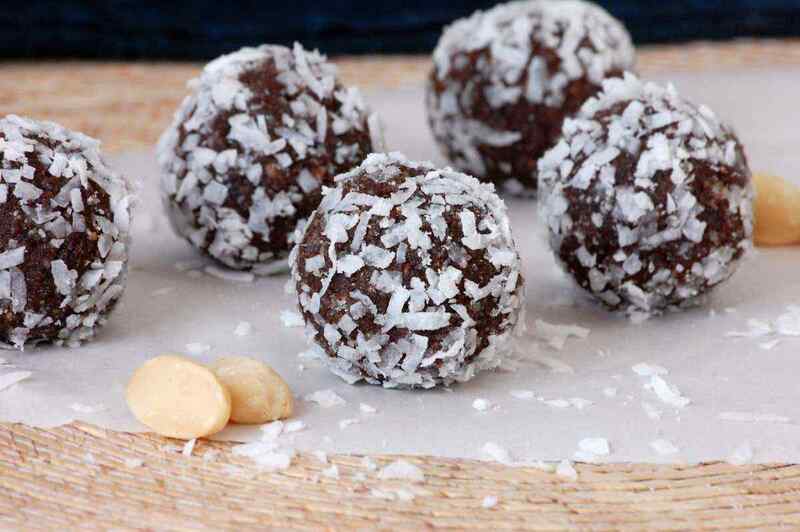 To get proper fuel for your day, turn dessert into an energy-boosting paleo snack. 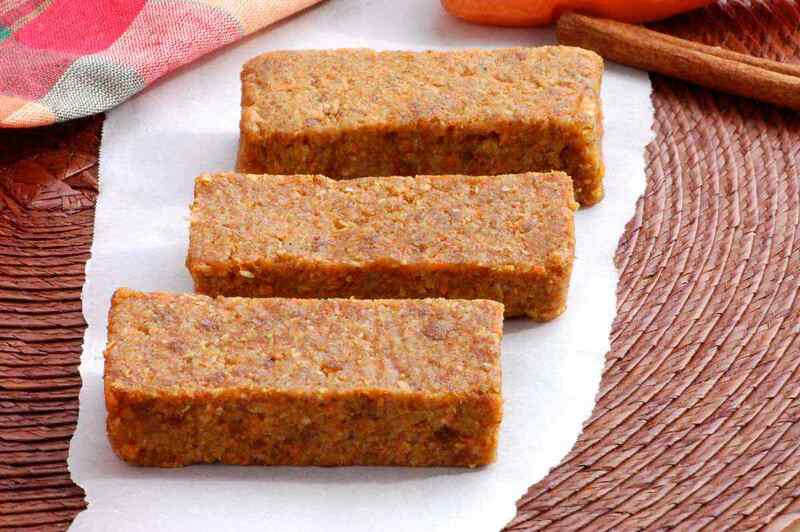 In this recipe, the delicious flavors of traditional carrot cake are transformed into a raw energy bar. Simply blend the ingredients together and form into a square – it’s ready in no time. If necessary, add a few drops of water to the blender if the carrot mixture does not clump into a ball. 1. Place all of the ingredients into a food processor. Pulse a few times to break everything up. Then blend continuously until the ingredients have broken down and start to clump together into a ball. 2. Use a spatula to scrape down the sides and turn out the mixture onto a piece of wax paper or plastic wrap. Press into an even square and chill, wrapped, for at least an hour. Cut into desired size of bars. Keep refrigerated. Perhaps one of the easiest Paleo snacks to put together, trail mix is always convenient to have around. 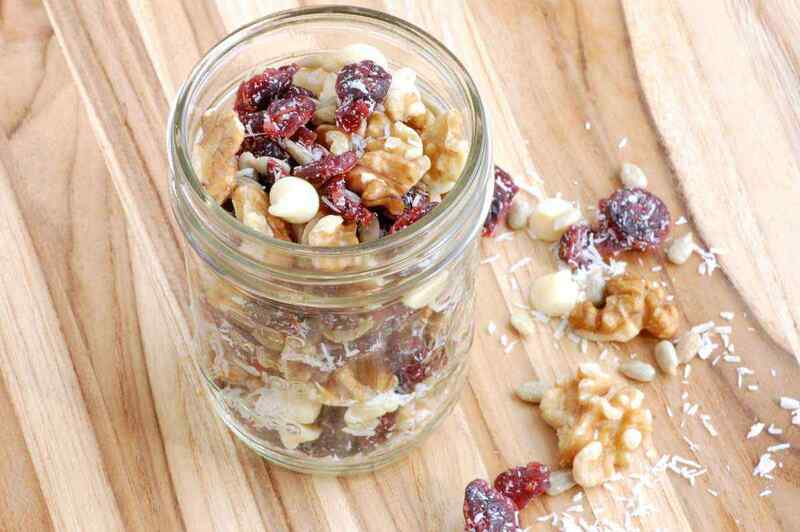 The main flavors in this trail mix recipe include tart cranberries, crunchy walnuts, and coconut flakes. There are also white chocolate chips; if you want to keep the recipe strictly Paleo then substitute dark chocolate chips. 1. Combine all of the ingredients in a large mixing bowl and toss to combine. Store in an airtight container. Get the delightful taste of cherry pie without all the effort. Tart cherries, spiced cinnamon, and nutty pecans all combine flavors in these small round bites. You could also add cocoa powder to the recipe to make chocolate cherry energy bites. Store them in the refrigerator. 1. Add the almonds, pecans, cinnamon, and salt to a food processor. Mix until finely ground. Add the cherries and dates to the blender. Mix until everything is combined. If necessary, add a couple drops of water at a time to make the mixture stick together, with the blender still running. 2. Transfer the mixture into a bowl. Place in the refrigerator to chill for 15 minutes. Use your hands to form small round balls, rolling them in your palm. Store in an airtight container in the refrigerator for up to a week.